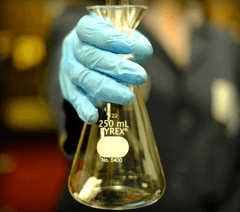 High purity chemical manufacturing and laboratory reagent uses. Bluish-black, sublimed crystals, granules, prills or flakes. Chlorine & Bromine (as Cl): 0.005% max.